A concentrated form of our laundry soap with the added boost from organic Lemon and Eucalyptus essential oils giving this stain stick added stain fighting power. It is amazing how simple it is to get out tough stains such as blood, berry juices, mud, grass stains, chocolate, and coffee. This stain stick loves a dare. Wet soiled area of fabric. Rub the stain stick on the dampened surface. Wash immediately or let sit until ready to launder. Our hardworking laundry soap- but in a gel form! 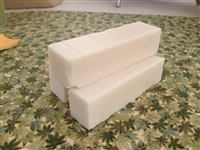 This is a low suds soap leaving the clothes and machine free of soap residue. Perfect for HE washers. This gel comes packaged in a beautiful, antique canning jar- which makes day to day use easy as well as fabulous! Bring your jar back to us at one of our venues (see our facebook page: www.facebook.com/simplycleansimplygreen) and we'll refill it for you at a discount rate! Ingredients: Vegetable Shortening, Distilled Water, Coconut Oil, Palm Oil, Food Grade Sodium Hydroxide, Washing Soda, Borax(sodium tetraborate), Sugar, Salt. Our awesome laundry soap now comes in a scented version! Organic Lemon and Eucalyptus essential oils provide a clean and refreshing gender neutral scent. Measuring scoop included. Ingredients: Vegetable Shortening, Distilled Water, Coconut Oil, Palm Oil, Food Grade Sodium Hydroxide, Washing Soda, Borax(sodium tetraborate), Sugar, Salt, Organic Essential Oils. Yep, they're gorgeous but what do they do? First, they help reduce the time it takes your clothes to dry. Secondly, they fluff and soften. Thirdly, they help reduce static- all that water they absorb in the beginning of the cycle is slowly released back into the clothes as they dry which helps reduce the static. What else? A few drops of your favorite essential oil on them at the beginning of your cycle will help scent your clothes. And guess what? They used to be sweaters! Talk about up-cycling! These are sold in groups of three to be most effective in your dryer. Each ball is unique. Please let us surprise you with color/pattern choices!